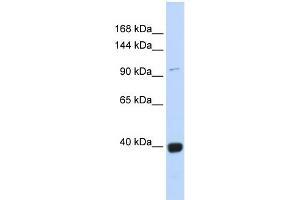 Characteristics This is a rabbit polyclonal antibody against VAV1. It was validated on Western Blot using a cell lysate as a positive control. Background This protein is a member of the Dbl family of guanine nucleotide exchange factors (GEF) for the Rho family of GTP binding proteins. The protein is important in hematopoiesis, playing a role in T-cell and B-cell development and activation. This particular GEF has been identified as the specific binding partner of Nef proteins from HIV-1. Coexpression and binding of these partners initiates profound morphological changes, cytoskeletal rearrangements and the JNK/SAPK signaling cascade, leading to increased levels of viral transcription and replication.The protein encoded by this proto-oncogene is a member of the Dbl family of guanine nucleotide exchange factors (GEF) for the Rho family of GTP binding proteins. The protein is important in hematopoiesis, playing a role in T-cell and B-cell development and activation. This particular GEF has been identified as the specific binding partner of Nef proteins from HIV-1. Coexpression and binding of these partners initiates profound morphological changes, cytoskeletal rearrangements and the JNK/SAPK signaling cascade, leading to increased levels of viral transcription and replication. Publication Note: This RefSeq record includes a subset of the publications that are available for this gene. Please see the Entrez Gene record to access additional publications. Optimal working dilutions should be determined experimentally by the investigator.